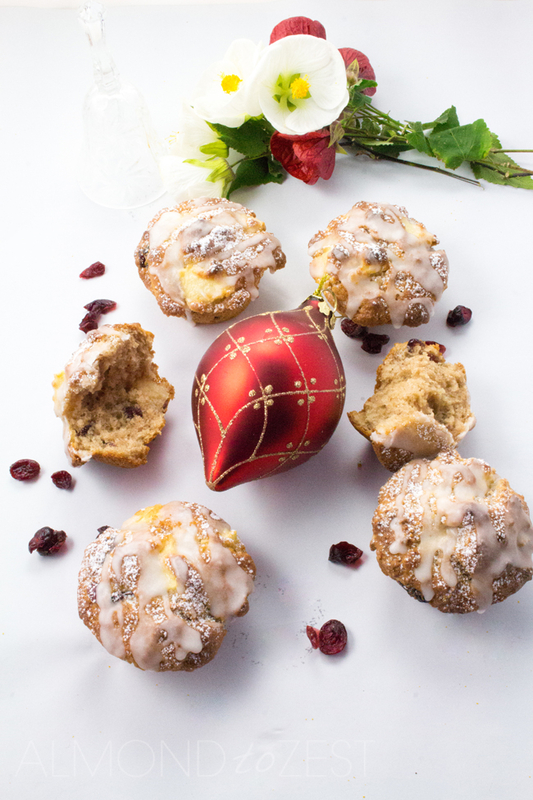 Packed full of apple chunks and bursting with dried cranberries in every bite, you are going to love these healthy Christmassy flavoured muffins. So, these muffins are soooo gooood. I mean, when I made them I didn’t realise that they were going to be this amazing. But they are. My first trial batch that I tested out on my besties the other day along with my CHICKPEA CROSTINI got gobbled up so fast, with not even a crumb left on the plate that I had to make more. More then lead to making many more batches which has now lead to me eating like a thousand of them, that I now feel like I am turning into a muffin. But they are seriously that good. Plus they are on the healthy side so I don’t have to feel too bad about it? 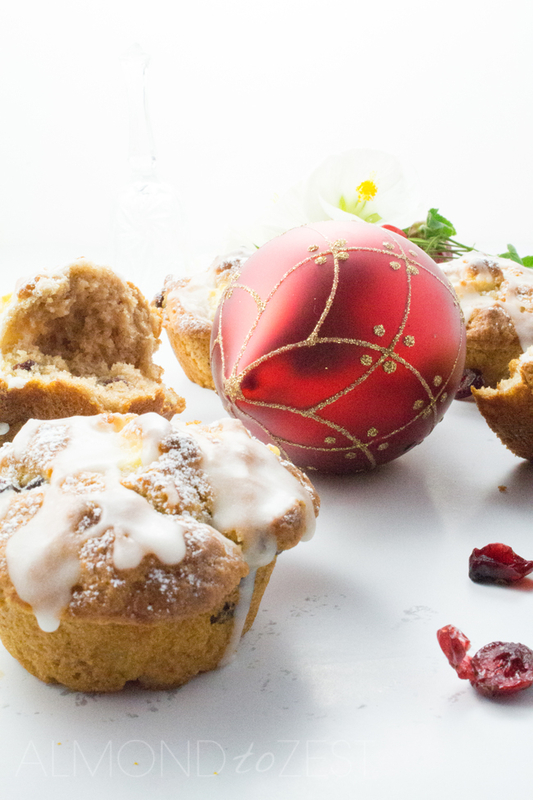 There are so many things you are going to love about these muffins. 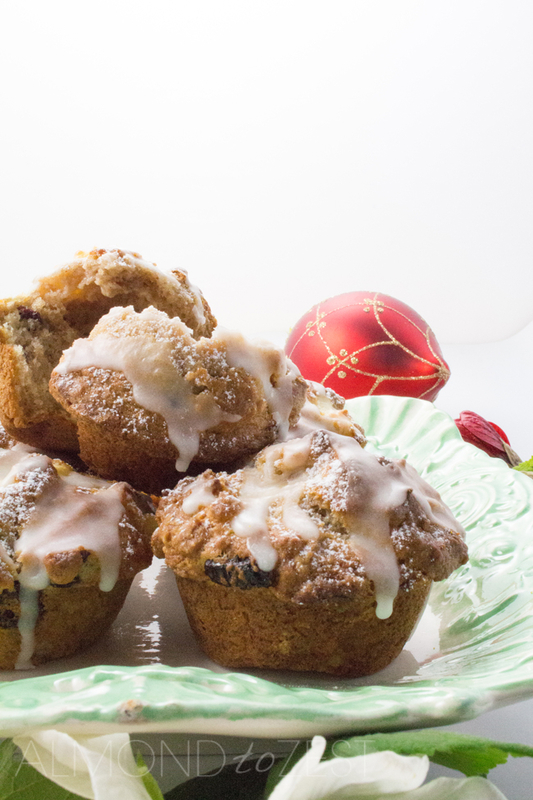 For starters the base of these muffins are super fluffy and moist from the use of yogurt and oil. Then there is the sprinkle of cinnamon that is subtle but lifts the flavour of the base. 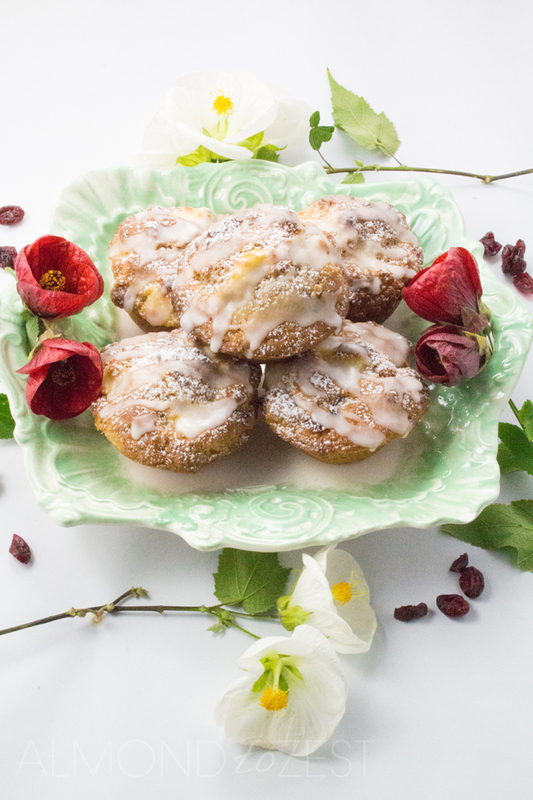 Then there is the excessive amount of fruit that has been packed in them, I mean if you eat a few of these muffins in a day I think it could definitely count for your 5+ a day. Chunks of juicy apple and sweet dried cranberries are present in every bite. And add that to the cinnamony base and you have yourself a pretty amazing Christmassy flavour combination. And to finish these muffins off I have added a lime frosting, which I just love. It adds a bit of sweeten tang and works in perfectly with the festive flavours. 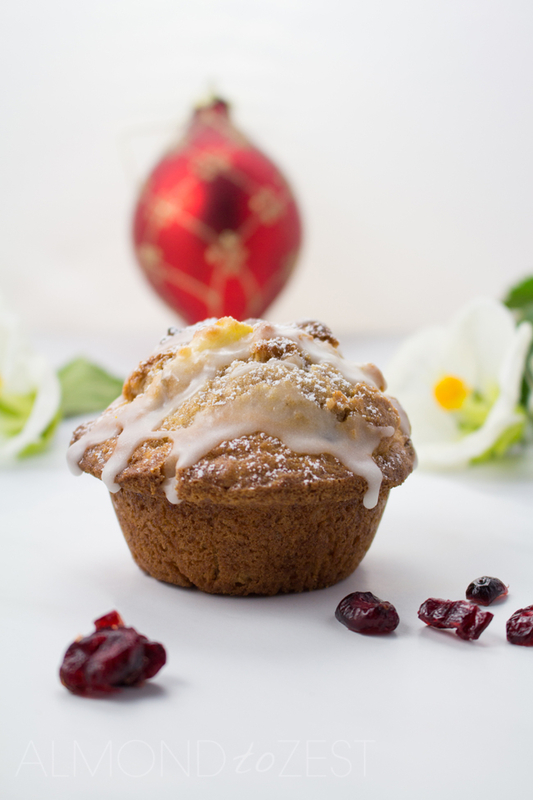 These muffins will last for 2-3 days when kept in an airtight container in a dry cool place. Heat oven to 350 (180C). Spray or grease a 12 count muffin pan (this recipe will make 18 muffins so you can either use two pans of cook two batches. Take a large mixing bowl and sift together the self raising flour, baking soda and cinnamon. Stir in castor sugar. In another mixing bowl combine the eggs, canola oil and yogurt. Pour the wet mix into the dry mix and add the cranberries and apple. Stir until just combined. Spoon mixture into muffin pans and bake for around 20 minutes or until lightly browned and a skewer inserted into the centre comes cleanly out. Cool completely on a wire rack. 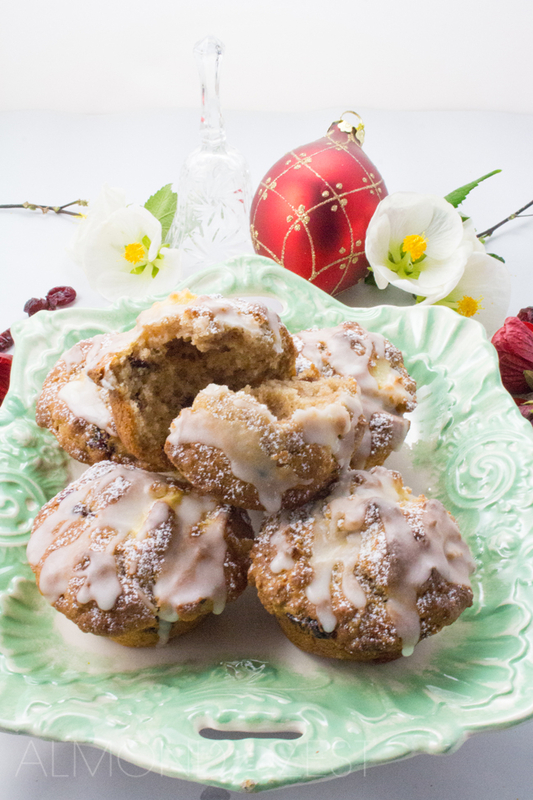 Combine the lime juice with enough confectioners sugar to make a frosting and drizzle over the tops of the muffins.